Villains have all the fun - everyone knows that - and this anthology takes you on a wild ride through the dark side! 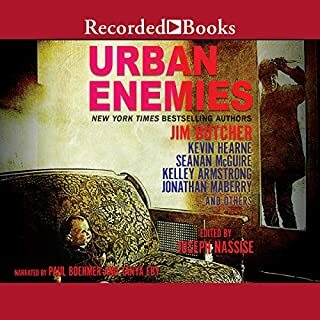 The top villains from 16 urban fantasy series get their own stories - including the baddies of New York Times best-selling authors Jim Butcher, Kevin Hearne, Kelley Armstrong, Seanan McGuire, and Jonathan Maberry. For every hero trying to save the world, there's a villain trying to tear it all down. What newly married couple doesn't dream of a romantic retreat where they can escape the world for a while - but what happens when supernatural forces intrude on their wedded bliss? Nine of today's hottest paranormal authors answer that question in this all-star collection of supernatural stories. Kat Richardson excels at creating vivid, fast-moving novels that blend urban fantasy with paranormal mystery. In Greywalker, Seattle P.I. Harper Blaine is viciously attacked and murdered - but after exactly two minutes, somehow she returns to life. Now she's seeing strange things all around her - dark visions from the shadow world - and living a normal life may no longer be possible no matter how hard she tries. 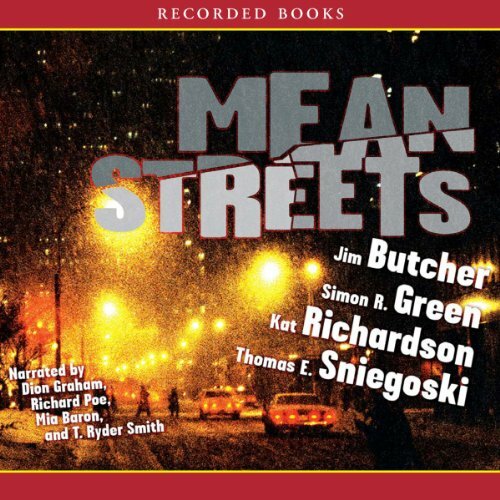 Featuring New York Times best-selling authors Jim Butcher and Simon R. Green, and national best-selling authors Kat Richardson and Thomas E. Sniegoski, Mean Streets offers four novellas from the hottest names in contemporary paranormal suspense. Running the gamut from demons and werewolves to zombies and black magic, these whodunits crackle with otherworldly secrets, making for a noir collection with an extra set of fangs. I am familiar with Jim Butcher and Simon Green, I have read most of what they have written, I enjoyed what they contributed. (not their best, but not their worst either) Kat Richardson's ghost story was interesting and had a real twist, It was good for a 2 1/2 hour listen. Thomas Sniegoski' is new to me, but I found this work very enjoyable and will be looking into checking out some of his other books. If you enjoy urban fantasy, these anthologies are a good way to find new authors. No not every story will knock your socks off but, being fair I have to say I really enjoyed 80% and I didn't hate the other 20%. 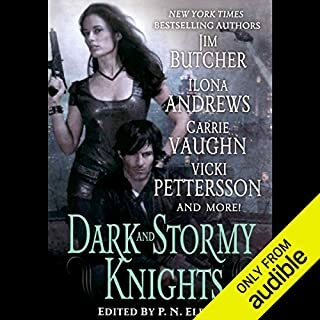 Wish I could give this 4 1/2 stars.BTW If you have been listening to Jim Butcher "Dresden Files" and Simon Green "Nightside" on Audible, there is a different narrators, still I think they were done well. Nice way to find new authors and narrators. Great P. I. Stories with a twist. This was the best anthology I have run across. Each novella was a jewel! I had to put it away briefly while I caught up on the Dresden series and then jumped right in. Fortunately I totally lucked out and caught two of the other authors in the perfect sequence I was in with their series! Simon Green was new to me and I am intrigued by his "Nightside" series and will definitely check out some of his other stuff. I am already a huge Dresden fan so I figured I would like his story the best but Kat Richardson's jaunt to Mexico with Harper Blaine blew me away too. This is the way to do an anthology. Rather than being loaded with many short, mediocre stories it has four great stories by truly talented writers with enough time to develop some great tales. 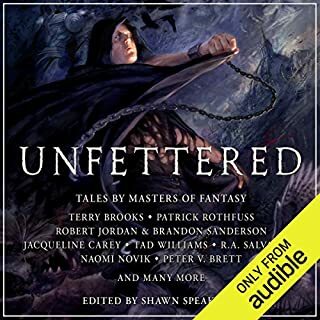 I bought and listened to this book to determien whether or not I wanted to purchase Butcher's Dresden files, as well as to determine if any of the other author's were worth reading. 1) Yes. Bought 2 of Jim Butcher's books immediately (and was a little surprised that neither the writing nor the characters were as developed as the novella here). Still worth reading his other books, though. 2) Maybe. I enjoyed Sniegoski's work, and it was reasonably self consistent. Green, however, was pathetic--perhaps I am expecting too much from the modern school system, but I don't expect zombies to be named "Deadboy", and when I kept hearing "The Car of the Future" referred to, I kept thinking on how "Boy, that will be tough to trademark and make consumer products out of." I would recommend it to any aspiring writer, however, in the vein of "If this dreck can get published, so can I." I keep thinking that maybe I'm missing an attack of the killer tomatoes kind of absurdity, but sometimes bad is just bad, not funny. Richardson's work was better than Green's, in that she at least came up with some interesting modern magic approaches, but I kept waiting for something to happen, and the only thing that happened was that it moved on to the Sniegoski piece. No tension during the listen, and no "oooh, what a cool idea." Mediocre, but not "throw my ipod away and burn my ears". The four stories included in this collection are fun and engaging. 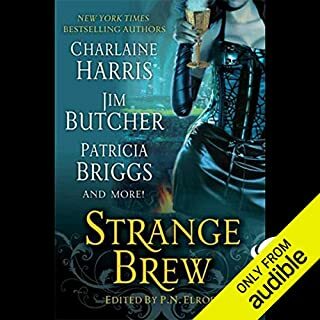 I got this collection hoping for some new Dresden story that I may have missed but alas I had heard that one (and enjoyed listening to it again). I enjoyed three out of four of these, which is a good average. I especially liked Sniegoski's story NOAH'S ORPHANS. Some may not like this story as it shows God as not being perfect. For me the whole concept was cool and the story had a twist or two. NO, BUT YOU CAN SEE IT FROM HERE. Green has a story from IN THE NIGHTSIDE, which is funny, weird and very different. If you have not read any of the books from this series, this is a good way to get your feet wet. All the narrators are great. 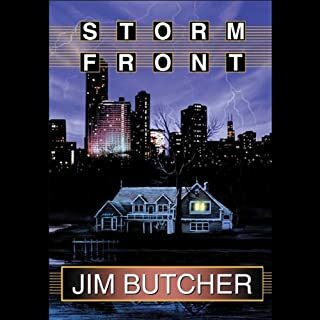 The first story by Jim Butcher was great. It would have been better with James Marsters reading it, but this guy did a good job. Harry Dresden is never dull. The second story by Simon Green had way too much set up and dragged for me. Then, even the meat of the story seemed to go on too long. I did like the noir style and dark humor of it. I enjoyed the third story by Kat Richardson about the detective who talked to ghosts. It was fun and the characters were interesting. The fourth story by Thomas Sniegoski is all serious except when Marlowe the dog is around. I like a little comedy, even if it is dark or snarky, in my fiction, so this last story was disappointing. Should have read more carefully, the narrator for the Dresden story isn't James Marsters and it is jarring enough I've bounced off this book three times. ok but nothing to write home about. This is a series of PI short stories. I read all the authors execpt Kat Richardson on a regular basis. The Sniegoski and Green storys are ok and the Jim Buitcher story is excellent. I'm not a fan of short stories. This is ok but overall I wouldn't use a credit on this one. The stories were decent, and it might be worth it if you are trying to find new authors to follow. If you are already familiar with the authors then you'd be better off using the credit on one of your favorite authors series instead. This was a great collection of short stories! It was a great way for me to sample the writings of the authors that are contain in this book. It turned me on to some great books by authors I had not heard of before through their short stories contained in this collection. I love it when that happens because it sends me through a flurry of interesting books.